Yesterday is over. Tomorrow is yet to come. 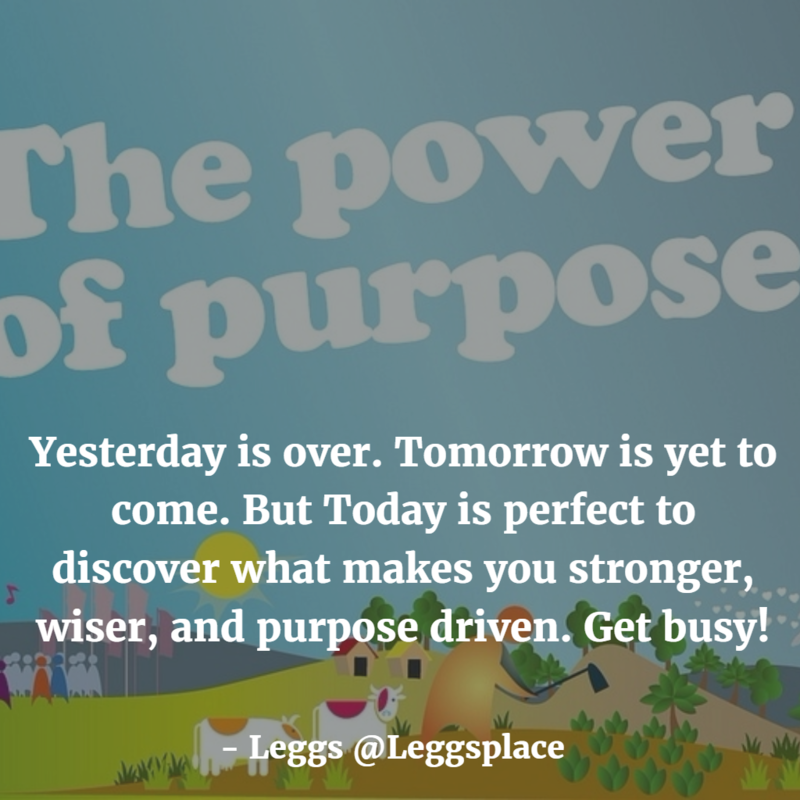 But Today is perfect to discover what makes you stronger, wiser, and purpose driven. Get busy!